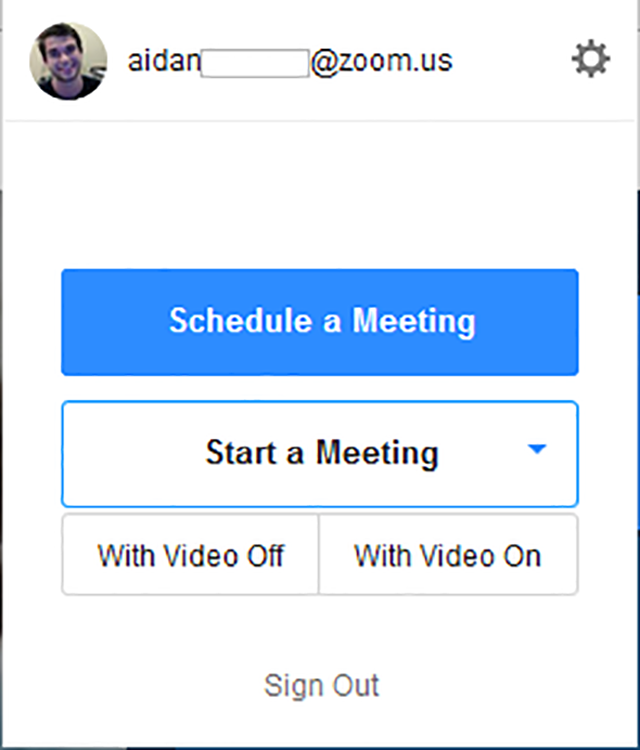 The Zoom Firefox Add-On allows participants to schedule Zoom cloud meetings directly from their Google Calendar. With a click of a button, you can start an instant meeting or schedule future meetings. 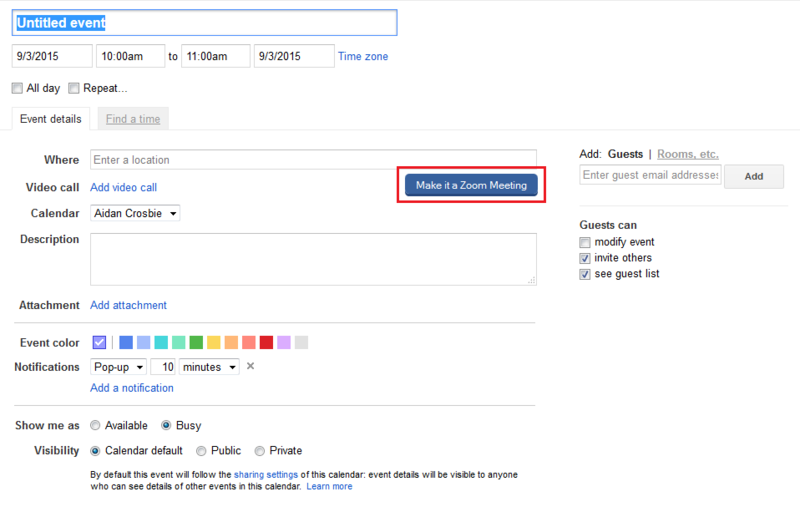 The meeting URL and information is sent via a Google Calendar invitation so the attendee can join with a single-click. You can install the Zoom Firefox add-on from the Firefox add-on page. Select "Add to Firefox" to install. The Zoom Firefox add-on will install a button on your Firefox browser. 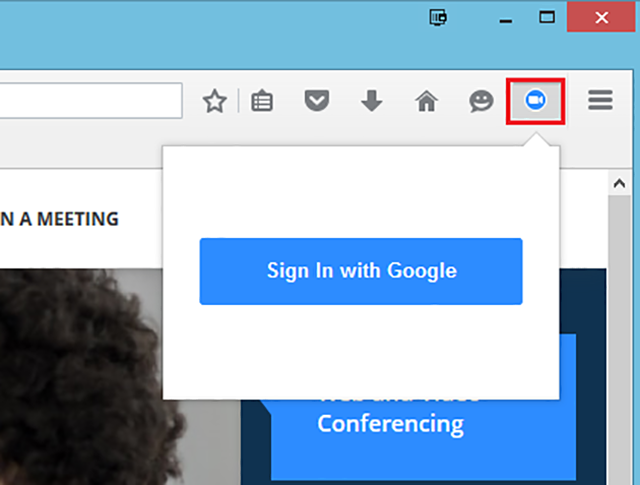 Clicking on the button will open the Zoom Firefox add-on. Click Sign In with Google to get started. You will be prompted to either login to your Google account or selected an associated Google account. Hovering over Start a Meeting, will provide the options to start an instan meeting With Video Off or With Video On. Selecting mail will take you to your Zoom profile. Selecting the gear icon will open the set of options that can be set when scheduling a meeting. 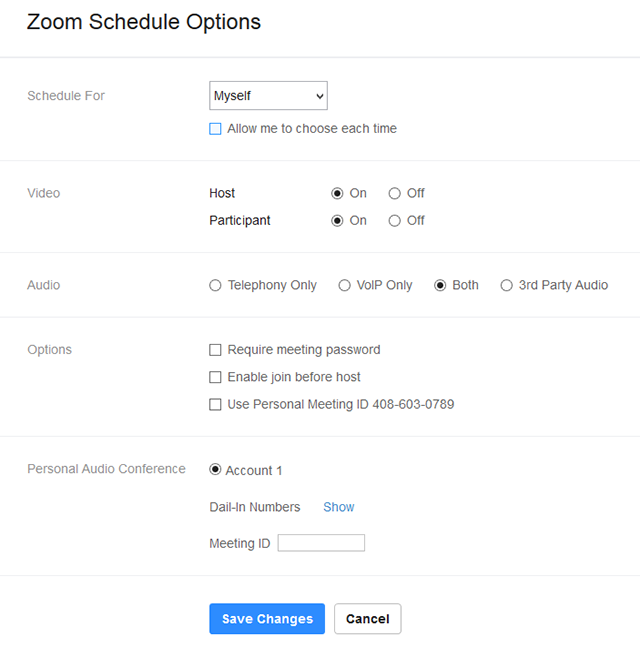 Options include scheduling on behalf of another user and using your Personal Audio Conference. A meeting will be created based on your choices and all the information needed will be populated in the Calendar invite fields as seen below. This will be generated after selecting Schedule Meeting. 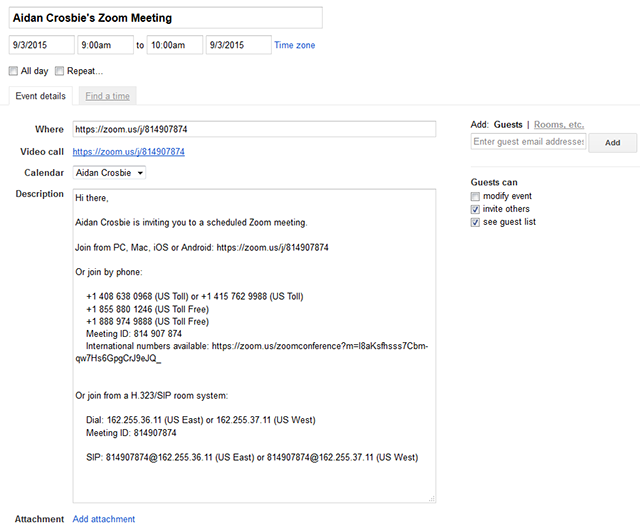 You can also make any Google Calendar event a Zoom meeting. Once you have created the calendar event within Google Calendar, you will see the Make it a Zoom meeting betton within the options on your calendar invite.